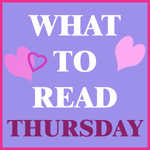 Lorraine Paton: Kate Warren - What to Read Thursday! 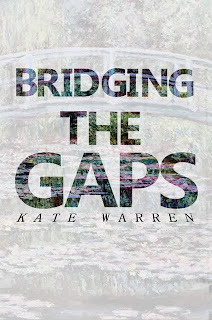 This week, I'm excited to welcome Kate Warren to my blog! 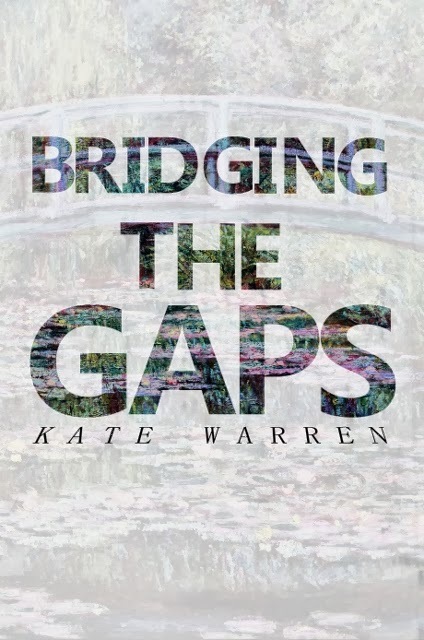 I first met Kate through the now defunct Six Sentence Sunday blog hop, where she got me hooked on her book, Bridging the Gaps, which she is talking about today! I thoroughly enjoyed this book, and I can't wait to hear what Kate has to say about it! Three things: I wanted to write a romance about people who aren’t in their twenties and don’t have six pack abs; an idea about a dentist who gives out candy on Halloween; some stories my mother told me. Where/when did you set your story and why? Bridging The Gaps is set in a small town in Wisconsin. People say “write what you know,” so I did. The city of Troy Falls is an invention, a combination of several small towns I’ve either lived in or visited over the years. The time is 2009, because that’s the year it was when I started writing it. Lorraine: That's great! I love learning about new places. I visited Wisconsin (very briefly) a few years ago and have wanted to return ever since! That would probably be Tessa Dare’s A Lady By Midnight. I have her latest but I haven’t had a chance to read it yet. I’ll read anything she writes because I know it will be wonderful and hilariously funny. She’s such a talented and genuine person. I’ve been a fan since her pre-fame days. Currently I’m working on the sequel to my very first novel, The DeFord Chronicles, Part I. The sequel is called The DeFord Chronicles, Part II. Shocking, I know. ;) This book refuses to be finished. I can honestly say it’s my longest work to date. I also have plans for a humor novel, some regency stories, more DeFord Chronicles books, and quite possibly a sequel to Bridging The Gaps. One day I hope to write a serious work of historical fiction, but I’m not certain I’m capable of being serious long enough to accomplish that. Lorraine: I also have a book that keeps growing, so I understand what you mean about a book refusing to be finished. Sounds like you have a lot on your desk! What is one of your favorite lines or snippets from your story? Kate Warren was born on a cold day, in the early morning. In spite of this, or perhaps because of it, she is not a morning person. 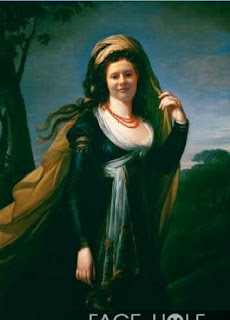 Kate writes humorous and dramatic novels, novellas, flash fiction, and poetry. She also writes songs and has an unfinished stageplay to her credit--or shame, whichever works. She is a former spelling champion with a lovely singing voice, an appreciation for reading, music, movies, and art, and a deep and abiding love of really bad puns. Kate currently lives in a small town in Wisconsin with her husband and four children--three of whom have autistic spectrum disorders--and a very cute dog. If Kate could choose a superpower it would be the ability to fly, and if she were an animal she would be a horse. She loves Jane Austen's works and her favorite bird is the black-capped chickadee. Ellen Pritchard thinks the world is over now that her husband has left her. If only that were the case. Instead she's forced to confront her fears and find who she is all over again while dealing with troublesome teenagers, an alcoholic son, and a man from her past who just might offer a second chance for both of them if Ellen can find the courage to take it. With her eldest daughter and a group of unforgettable friends to lean on, Ellen will learn that "that which does not kill us" is life, and love is always worth the risk. Should he kiss her goodnight? Was it appropriate on a first date with someone else’s wife? Did she want him to? Did he want to? Yes. He did. But was it a good idea? Ellen’s thoughts were running along the same lines. But she wasn’t sure if she wanted Henry to kiss her. Maybe a handshake? Or a hug? But that would be too impersonal. She was about to suggest they discuss the issue when he leaned toward her. His lips brushed her cheek softly and she felt disappointment surge through her. She did want him to kiss her after all. I love the mix of emotions in the excerpt! Don’t you? Thanks so much for allowing me to be part of What To Read Thursday, Lorraine! That is a lovely excerpt! I love the worries and the resulting disappointment. :) I have this on my Nook and can't wait to read it -- I need more time! I really enjoy Kate's sense of humor. Nice interview, ladies. Kate, I enjoyed the blurb with so much thought given to a kiss. Perfect! By the way, my superpower dream has always been to have the ability to fly too. Hi Marlow! I'm glad you stopped by! :) I think you'll enjoy Kate's book!